Funding is one of the hottest topics I always get at any of our events or on calls with clients. I thought I would spend a few minutes going through some options and how it works. The short answer on accessing funding in the US to invest, is that it is difficult. The long answer is that is is difficult…but there are options. First and foremost, what I would like to do, is address a common misconception or major difference in strategy between AU investing and investing in mid-west USA. In Australia, purchasing a property at 80% or even 90% leveraged and having minimal return (or negative as is one of our most popular investment strategies) while holding the property for 10 years accumulating capital growth on the leveraged amount can certainly work as a wealth building strategy over time. Understand though, that you will need to either borrow against your newfound equity or sell the property to realise this profit, but it is certainly wealth. Leveraging is quite an important part of this strategy, as you will only have 10-20% funds in, but earning the growth (5-6% with luck, or more!) on the entire leveraged amount. In the mid-west US though, prices are generally quite flat. There is not a lot of growth to speak of and even if a property grows 10% in a year, on an inexpensive property of $70K that’s only $7,000. To be highly leveraged so that your return on the property is low (essentially undermining the real reason for investing overseas in the US – HIGH CASHFLOW) and not get substantial growth is now kind of a moot point. The mid-west US shines due to the affordability of the properties and the high cashflow you can generate from these. You don’t need to sell, borrow against or anything to realise this profit, it just goes into your bank! This can be a more simpler or possibly more accessible option for a lot of people. Traditional lending methods can be difficult but certainly not impossible. Getting a line of credit against equity you have in a property is certainly an option. This would be one of the most cost effective options if you have equity in your home, or in an investment property that is not working for you. You would want to make sure in your feasibility for the project you are looking at, to account for the 5% or so interest that you would have to pay in your numbers so you can see and be still happy with the profits. But given most flips should be bringing around that 20% return after costs, there should be funds here to handle the interest rate and still have a tidy profit. If you don’t have enough in equity or have investment properties in Australia to get into the market for a flip, possibly then private lending might be an option. Maybe someone you know would be interested in lending you the funds for a higher interest rate? You could offer rates of 10-15% annualised or even a return based on the project which could be quite attractive to someone with some funds in the bank doing essentially nothing. Maybe there is a family member or a friend you can joint venture with and work out a profit share arrangement? All these can be an option. This option can be a little more tricky. Without over 2 years trading and positive tax returns lodged, most traditional lenders will not look at “foreign aliens” or non US citizens without a Social Security Number and credit rating. 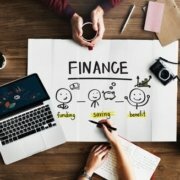 There are however, a number of private lending or “hard money” options which can be utilised, but again without any history or experience, many of these will struggle to lend to you as well. 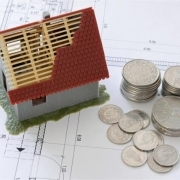 One of the easier methods i have found over time, is to purchase property cash and then look to source the renovation funds, or what they may call construction lending from private lenders. This can be a better and easier option particularly to get in early without experience. They may still want to see an experience person managing the renovation or project to help ensure it goes smoothly but this can be done by employing a Project Manager for the project. Rates for these types of loans can vary from as low as 7-8% to as high as 14-16% in some cases. Make sure to shop around a bit as well. Finally as a third option, once you have proven experience over a number of projects, positive tax returns, your LLC earning profits and a bank account for some time, the lending options for traditional lending start to open up and become low cost options. Most traditional lenders start at around 4% and again, owning the home outright can help significantly in accessing funding as it gives them an asset to lend against. For any more information on the lending options that might be available, or if you would like to discuss getting started in US Investing, book a call with us TODAY! below. One of the first steps we do for clients, and I would certainly recommend for anyone investing in Real Estate anywhere, is to discuss with your legal team or accountant about asset protection. Real Estate, albeit one of the more stable and less-risky investments, still comes with its fair share of risk, and as an educated investor, we need to ensure to mitigate as much of these risk as we can. One way we can do that is to ensure to protect our assets as much as possible, and structures or entities are one way we can do this. By broad definition – an “asset” is anything useful, desirable or having exchange value. Taking an equally broad view of the definition of “asset protection” then, would be – “steps taking to help protect the asset”. Two of the more common methods or structures used to protect assets are Limited Liability Companies (LLC’s) or Corporations. Both have their pros and cons, particularly in the area of taxation and I would ensure to talk to your accountant or US Tax agent re these. A corporation is a legal entity that exists within the contemplation of law, which is separate from its owners, or also known as shareholders. A US corporation is similar to an Australia Pty Ltd Company in this respect. A Corporation can be a good asset protection vehicle in that it shields the shareholders’ personal assets from that of the business or corporations’ assets. This corporate shield can also be referred to as the “Corporate Veil” and is in place provided a number of formalities are followed. We have a great legal team based in the US who handles all of our work and would be happy to refer their details if you need, or if you would like to discuss getting started in US Investing, book a call with us TODAY! 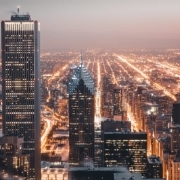 The mid-west US has some fantastic employment opportunities for job seekers, some fantastic schools and universities for studies and the affordability to live there is very attractive. Many Americans are still scarred by the GFC crash and find purchasing homes harder and the job market harder so they are happier renting than owning. The dream to own your own home with the white picket fence is almost gone now, very few millennial’s are striving for this. Also, even more high income earners are finding it better to rent where they live, and purchase investment properties where they can get the best return! 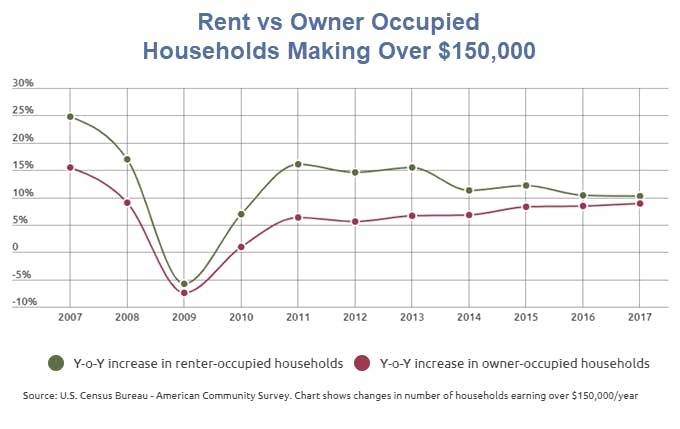 Click on the graph below to go to a recent article by Maven Money in the US analysing renting vs Owner Occupied properties for higher income families – the results are astounding! If you want to find out more about how to access great deals in this area (or another others) book a call with us TODAY! at the bottom of this page. If you want to find out more about how to access great rental deals and get excellent passive cashflow, book a call with us TODAY! Below. https://www.stardynamic.com.au/wp-content/uploads/2019/03/Rents-vs-incomes.jpg 429 680 Lindsay Stewart https://www.stardynamic.com.au/wp-content/uploads/2018/08/StarDynamicPropertyInvestments_sd4final-1030x352.png Lindsay Stewart2019-03-30 02:42:272019-03-30 02:42:29Why the US market for Rentals? 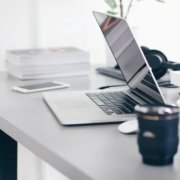 I have been writing a lot of content lately for our upcoming online course on flipping houses in the US and thought I would give a little bit here. One of the important topics is Due Diligence. Now, we hear the term used in property and/or investing all the time but really what does it mean? In Real Estate, there is a number of different types of due diligence you can do. Generally it would be specifically related to a particular house purchase or deal but often i find its worthwhile doing “due diligence” long before you start looking at a specific properties. One of the best things you can do to set yourself up first, particularly when looking to invest from afar, is to get to know the area you want to invest in. I like to be in control of my investing from the first moment. I will always look at the regions I’m investing in and pick the particular areas or suburbs I want. Then, I will look through deals as they come up, and only investigate the ones in my areas of choice. This way, I am choosing my investing areas carefully, not allowing the deals to decide by simply offering good numbers. Using Google maps can be a great tool to look through areas and streets you would like to invest in, but one of the best ways is to “drive the ‘burbs” yourself, so to speak. Now I know that we all can’t do that from afar, and often don’t want to spend the funds to fly overseas to drive streets to purchase a house (depending of course how much you are looking to invest!). In these occasions, it may be possible to get someone to do it for you? You may be looking in an area that you have friends or relatives there, possibly a work colleague, or even Realtors will often have, or be able to do this for you (even at a fee, it’s a worthwhile investment!). Here is a video that one of our best contacts in the US have done for one of my favourite areas of Detroit – East English Village. We have a number of properties in this ZIP code including a number of client properties. It is a real up and coming area with the city of Detroit spending millions in this and nearby regions to revitalise the region! It is neighboured by some of the most expensive areas of Michigan in Grosse Pointe, Harper Woods etc. Have a watch and please “like” or leave a comment if you found it helpful, Emilio would appreciate it I am sure. the best and most expensive homes sold in Detroit in 2018. Lets have a quick look back at some of the best and most expensive homes sold in Detroit in 2018. Even though most of these are not investments, and most likely out of our reach but does show what is available and what areas buyers are paying top dollar in. We can use this information to source good properties in these areas and ride this wave. A couple of the regions will surprise you and a few of the better areas of Detroit are strangely missing (Grosse Point, Boston Edison) that were there last couple of years. Harper Woods is a great area near University District & Bagley where there is still some great deals available; and I was lucky enough to stay only a couple of blocks away from the Indian Village mansion when I was there in November last year! 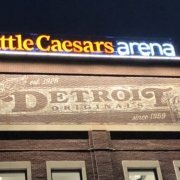 Click the button below for the full article from “Curbed Detroit” or you will also find it posted on our Facebook site – Enjoy !! https://www.stardynamic.com.au/wp-content/uploads/2019/01/IMG_3996.jpg 3024 4032 Lindsay Stewart https://www.stardynamic.com.au/wp-content/uploads/2018/08/StarDynamicPropertyInvestments_sd4final-1030x352.png Lindsay Stewart2019-01-08 23:04:272019-01-08 23:37:44the best and most expensive homes sold in Detroit in 2018. When looking for rental properties, there are certain areas which offer a higher return on investment than others. 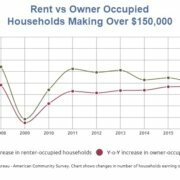 Rental properties in areas that show prominent and steady job growth, population growth, and affordable cost of living are generally going to turn a bigger profit than a property in a high poverty area with little to no job growth. Luckily, the United States seems to be chock-full of cities that match this description. So where are these cities considered to be a best-buy? The top five cities to invest in stretch across the United States in various states showing that you don’t have to be on one particular cost to create a profitable rental portfolio.